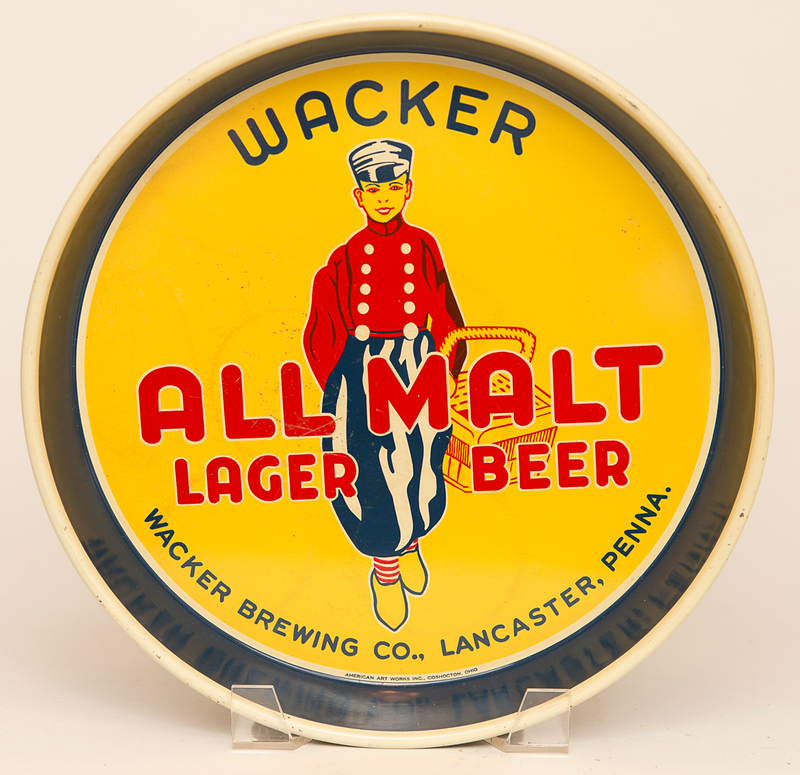 1940's tin litho advertising tray for All Malt Lager Beer by Wacker Brewing Co. of Lancaster, PA. 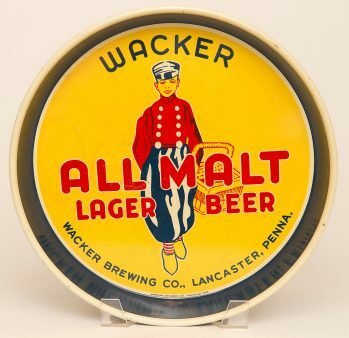 This tray is scarce and finding one in good condition like this is tough. Slight discoloration ring in the field with a couple very small edge nicks.